As I mentioned in my last post, I was planning to have fun last weekend playing around with ideas for my November Styling The Seasons post. 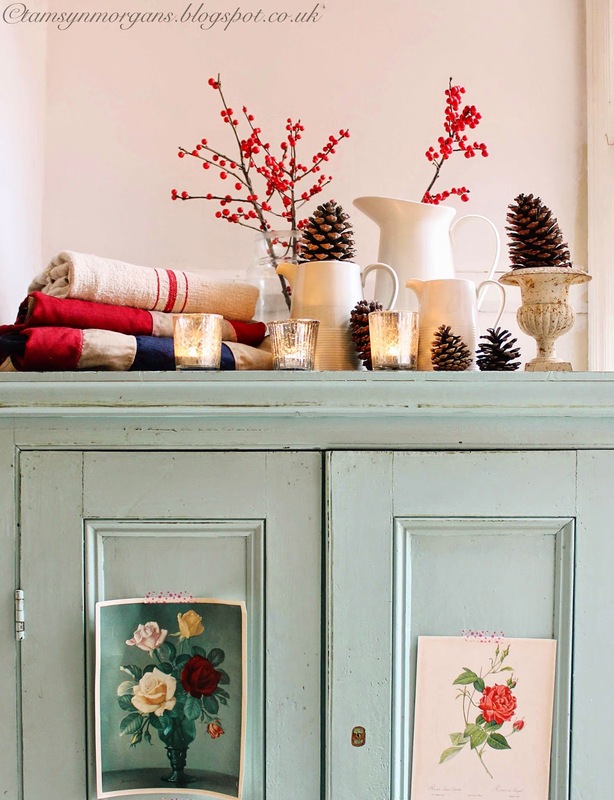 Styling The Seasons was the idea of the very lovely Katy at Apartment Apothecary and Charlotte at Lotts and Lots blog. 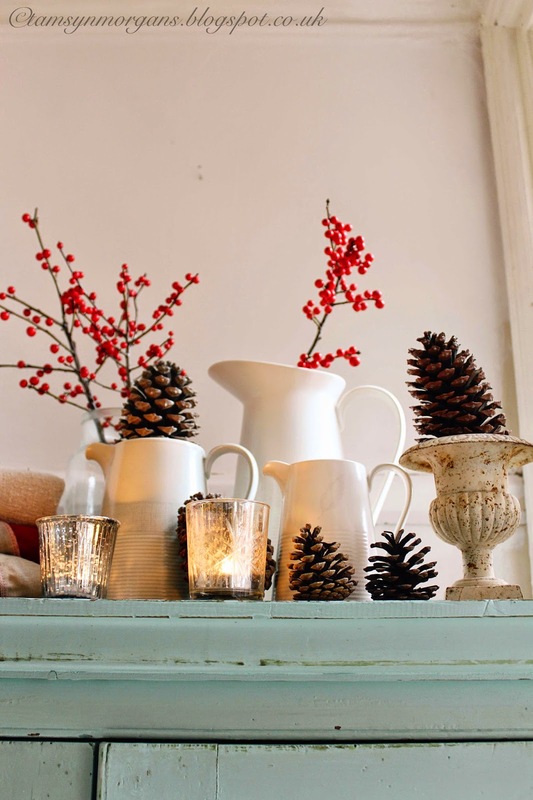 Check out #StylingThe Seasons on Instagram to see lots of beautiful posts – the idea is to decorate/style any surface in your home, according to the month. 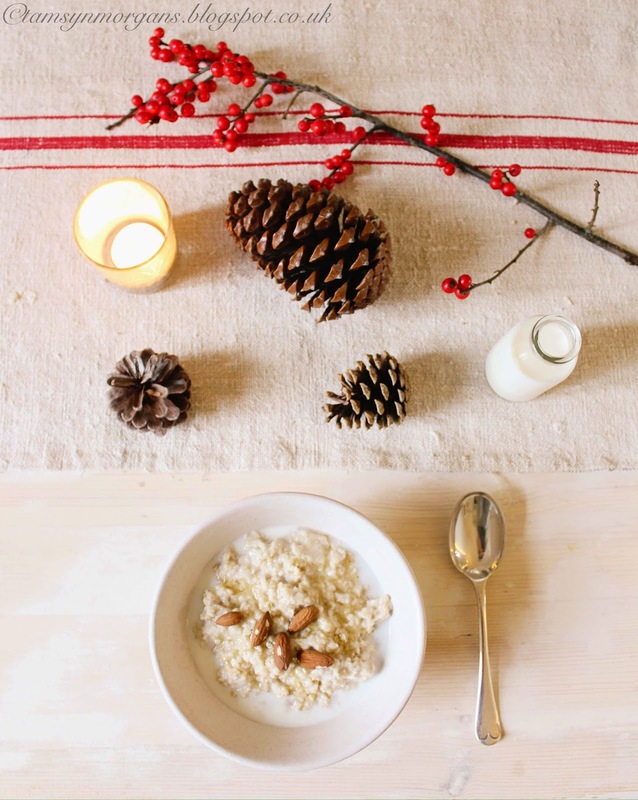 I really loved styling these pictures as I’m feeling pretty festive already, so it was about bringing in just the right amount of candle light and festive red without going full blown Christmas! I wanted to go for a bolder, moodier look this time, moving away from my beloved pastels. The surfaces I chose to style are in my lovely new kitchen and dining room. The flashes of red came from these beautiful berries which Aldi are selling in bunches of two for £2. 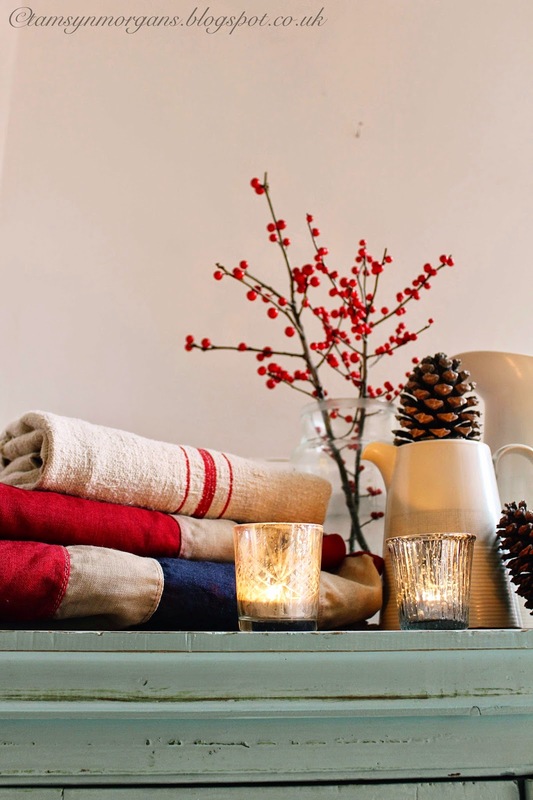 I stacked my vintage grain sack on top of my old Union Jack flags for some bold and cheery texture, and scattered the beautiful giant pinecones which came from my friend’s pine tree. 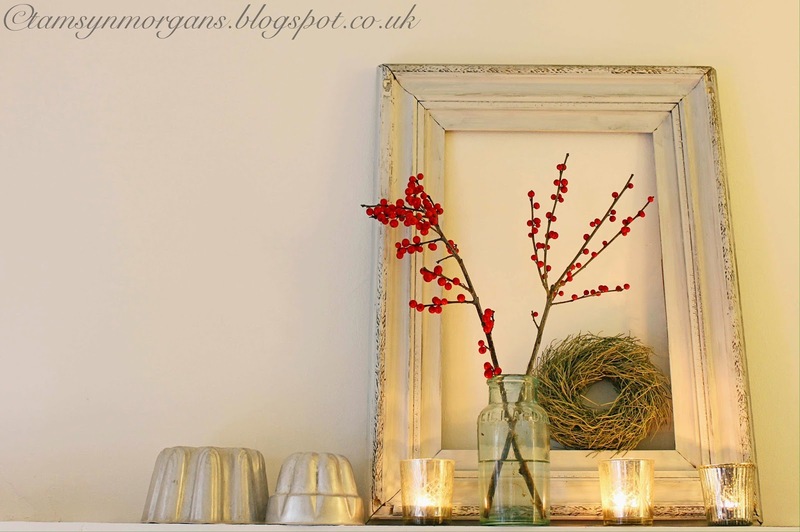 Silvered glass tea light holders add wintery beauty – it’s dark most evenings when I come home now, which makes the perfect excuse for flickering candle light. The bottom two pictures are the top shelf in my kitchen (pictures coming soon – I’m photographing it this weekend for my kitchen reveal!). 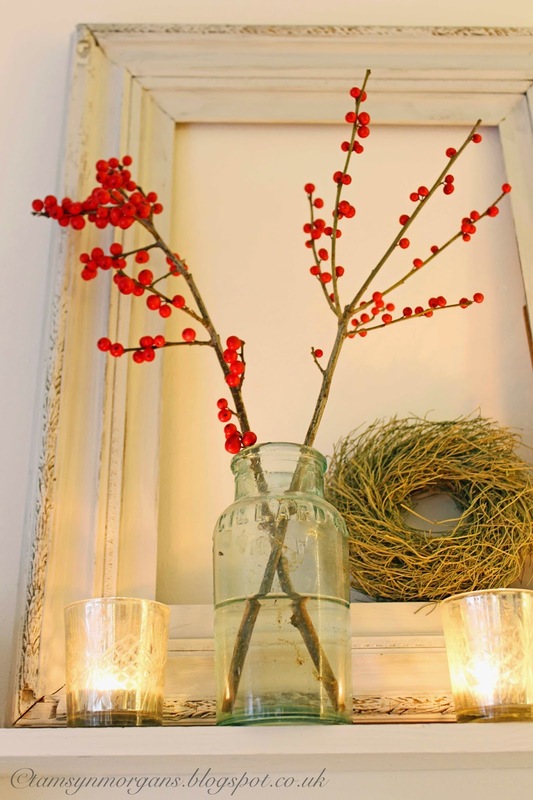 The vintage jelly moulds and old painted frame make a really lovely focal point for the berries and candles. What would you do for #StylingTheSeasons? Join in on Instagram using the hashtag!